Here we have a How to Draw guide by our users, focusing on the eyes today. 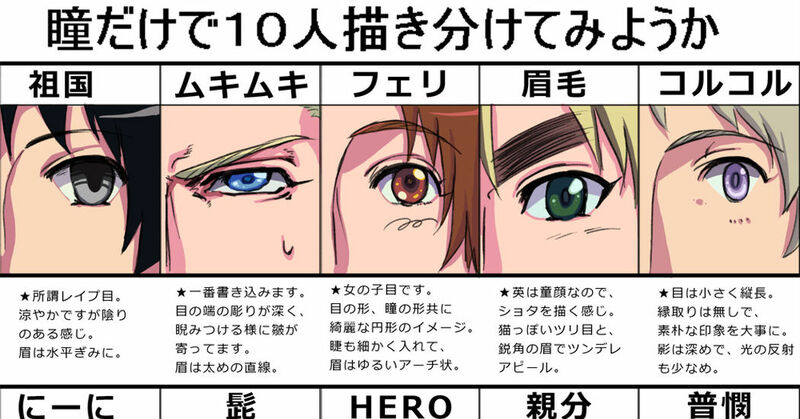 From the color of the eyes to the shape of the eyebrows, having distinct eyes for each character is very important. It’s definitely fun to pay close attention to each character’s eyes and take note of their features. Today, we have a user-event with users who have attempted to create 10 different characters with just their eyes. For people troubled with the drawing of your character’s eyes, we highly recommend you to take a look!